It’s been 13 years since I packed up my bags and headed off aged 19 to spend my second year of university in the US. I always knew it was going to happen since the subject I studied included an exchange year abroad but heading off to the relative unknown still felt quite daunting. Once settled in the American Mid-West however, there was no looking back and as cliched as it sounds, it really changed my life. One of the most enjoyable parts of my time abroad was meeting other students from all over the world and spending time in ‘real’ America – endless fields of corn and cows, bars full of proper cowboys rather than some hipster in a lumberjack shirt. I learned about customs and traditions, a different way of life and yes, even some history because as short as it may be, it is fascinating. I also got to experience my first Thanksgiving dinner, a holiday of course that isn’t celebrated over here (even though to this day I always meet Americans who ask if Brits celebrate it which makes me smile). My roommate and I had a ‘host’ family, who took us on excursions from time to time and invited us to join them for Thanksgiving, which to this day remains one of the biggest feasts I’ve ever eaten. Fast forward to the present day and I haven’t had too many celebratory US-themed dinners, despite working for an American organisation since 2003. 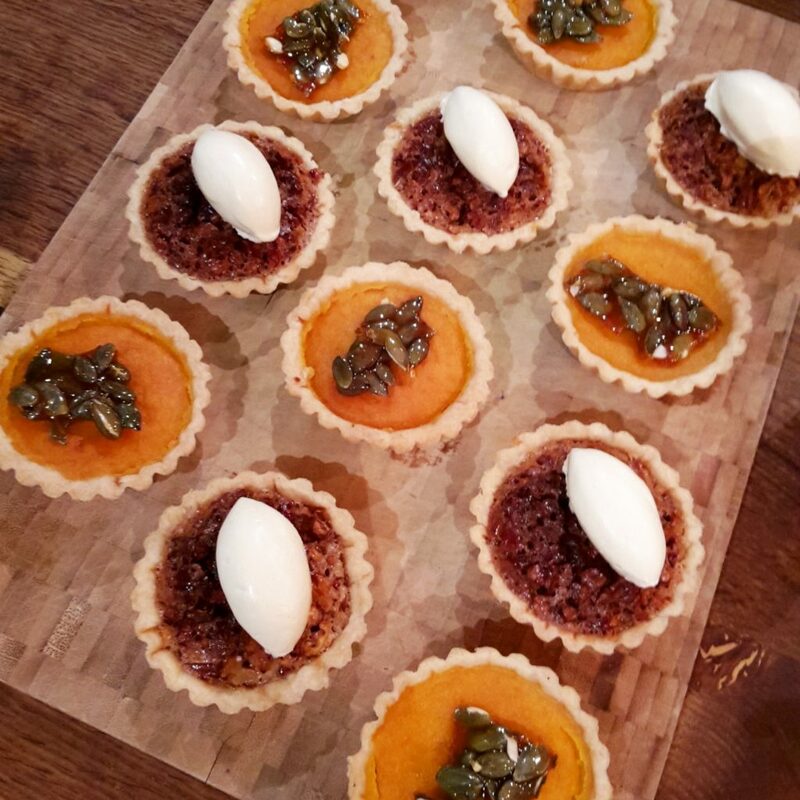 So it was a delight to pop along to Food at 52, a cookery school and kitchen in Clerkenwell, with some other bloggers on a chilly November evening to meet chef Brad McDonald who heads up Marylebone restaurant The Lockhart and Soho venture Shotgun and get cooking our very own meal. 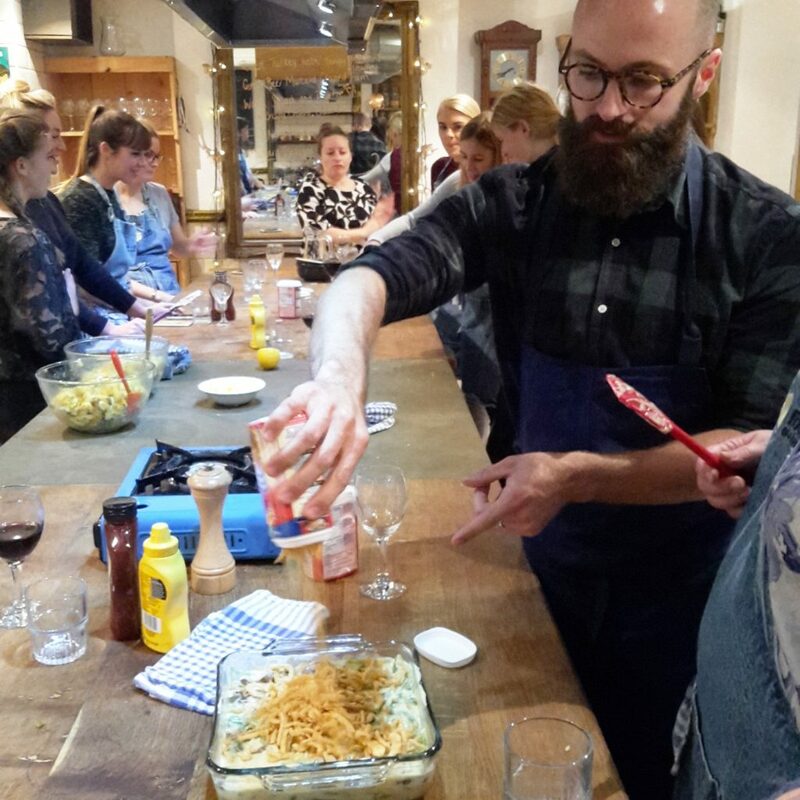 Hailing from Mississippi, there are southern influences throughout Brad’s cooking and we set about helping to prepare a potato salad and green bean casserole which his wife Molly told us are quite typical dishes to have as part of a Thanksgiving dinner. Guests are encouraged to each bring a dish and quite often everyone brings something that they really consider to be their speciality or favourite. 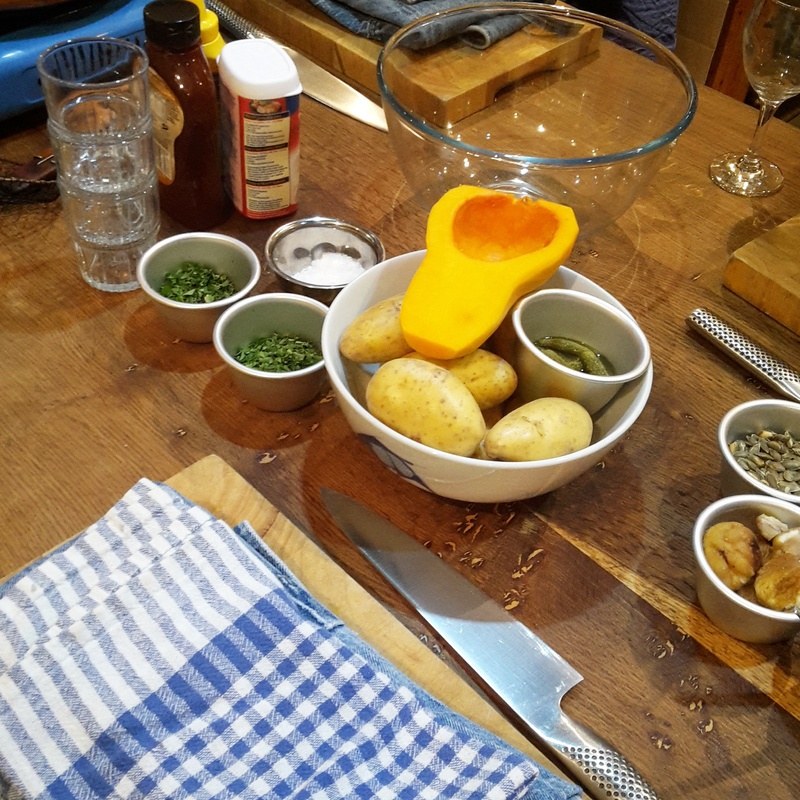 It was so much fun to get stuck into some food prep and we shared the work needed to collate our ingredients for the potato salad and bean casserole. 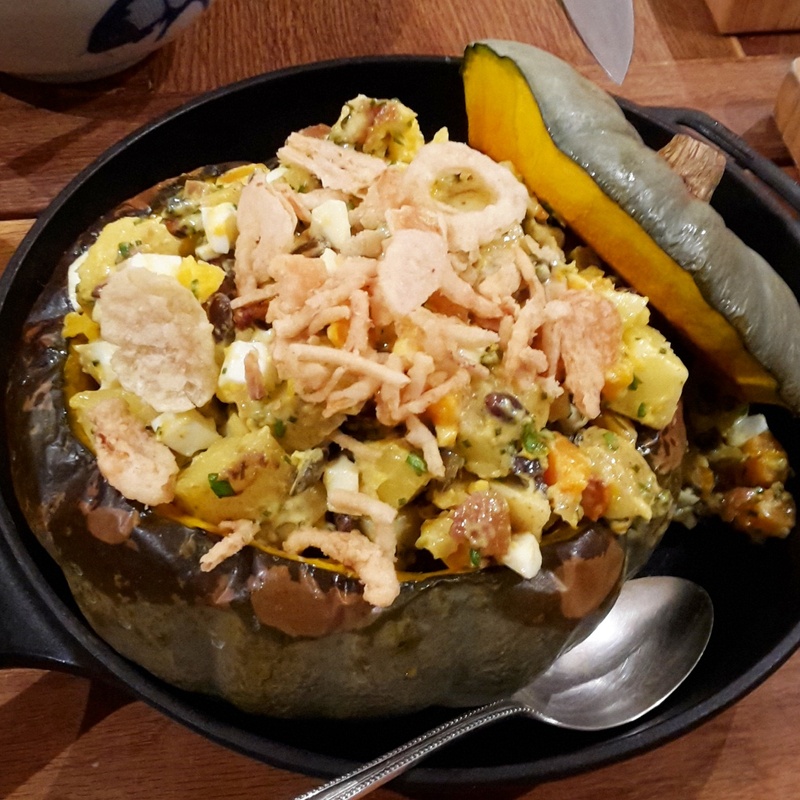 For the potato salad, it was one with a difference: butternut squash, new potatoes, eggs, chestnuts, cornichons, herbs and pumpkin seeds. 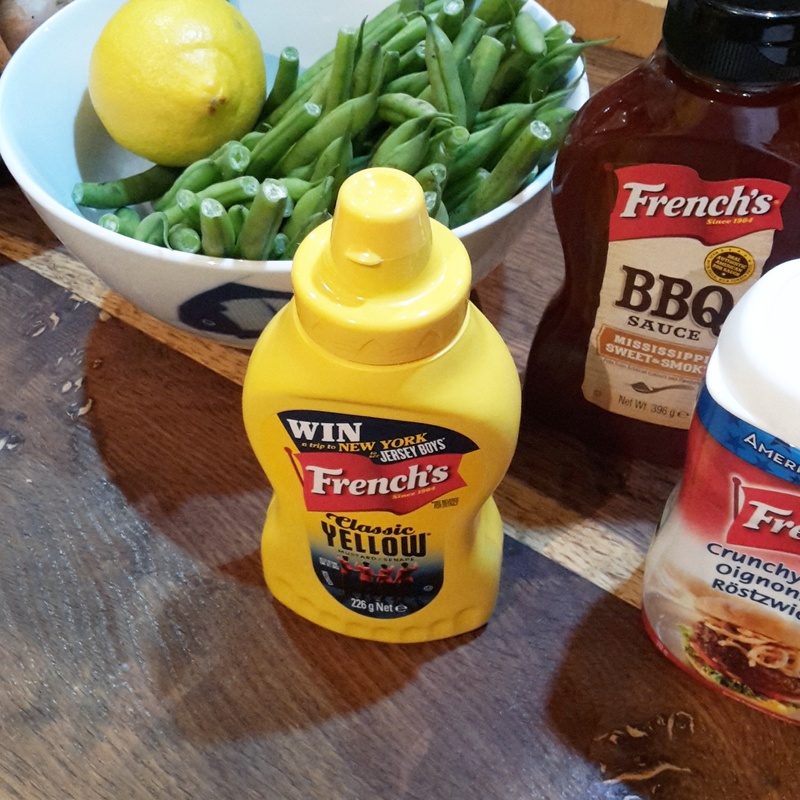 The dressing was made using French’s yellow mustard and we were encouraged to taste the flavour as we went, adding seasoning and extra mustard to create the perfect tangy combination. Next up, we sliced what felt like a thousand green beans, giggling at the inefficiency of the purpose-designed bean cutter, before learning tips on how to create the perfect bechamel sauce for the casserole. Add in more French’s mustard, some sauteed mushrooms and topped with French’s crispy onions and it may have been my first green bean casserole but definitely not the last. 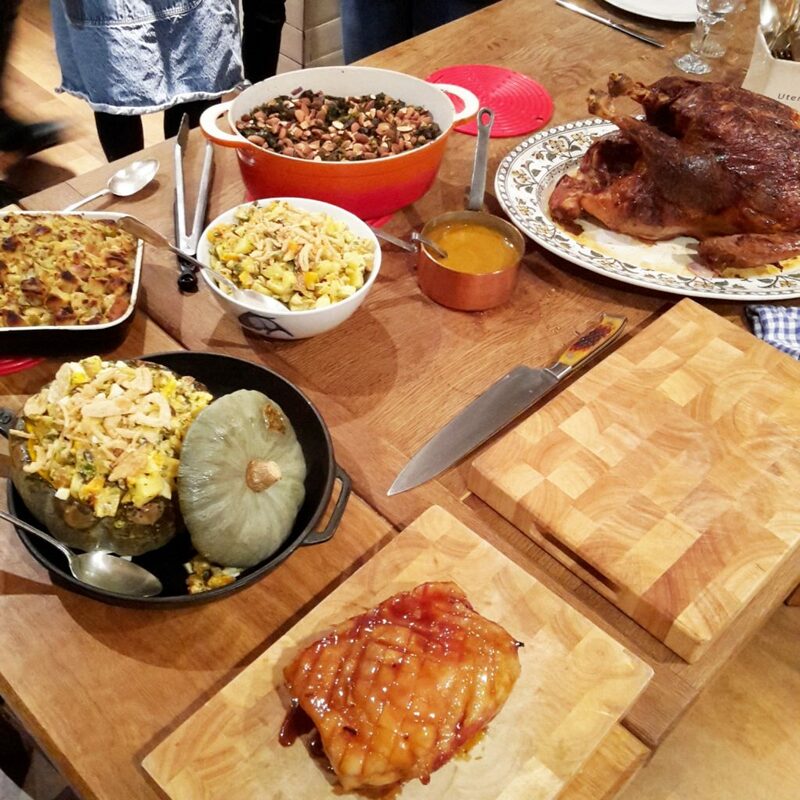 Finally, it was time to dish up our carefully created accompaniments to the main event – what else than a roast turkey. 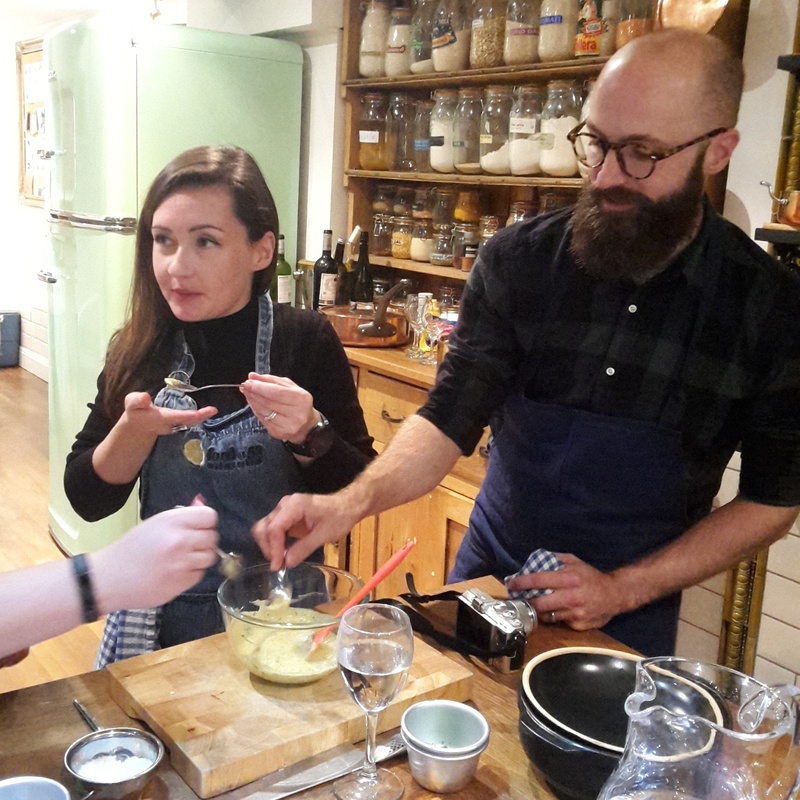 Despite the main element of the meal being the same as our traditional Christmas dinner this felt so very different, delicious and filling but somehow not overbearing in the way that our endless eating on Christmas Day can feel. 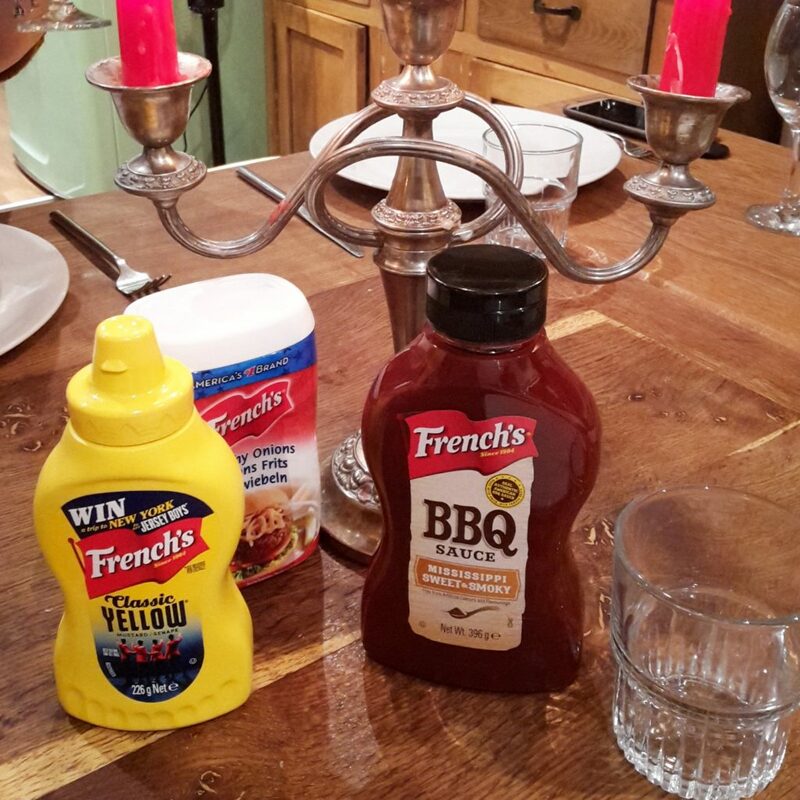 The gravy was also mixed with French’s mustard which gave it a really fresh and unexpected taste showing how something really quite simple like mustard can really change the way food tastes. 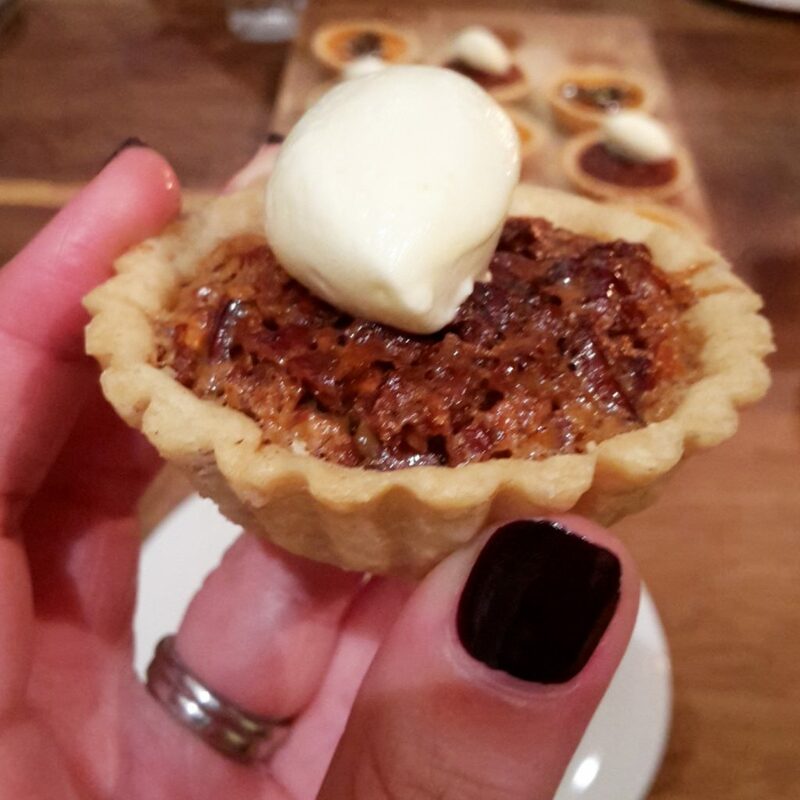 Of course a Thanksgiving dinner wouldn’t be complete without pumpkin or pecan pie and these mini versions were served up for desert. It was a delightfully fun way to spend the evening and hopefully another 13 years won’t go by before I encounter my next festive US-style dinner. Thank you to French’s for inviting me to attend this cook and eat experience. All words, opinions and images are my own unless otherwise stated.